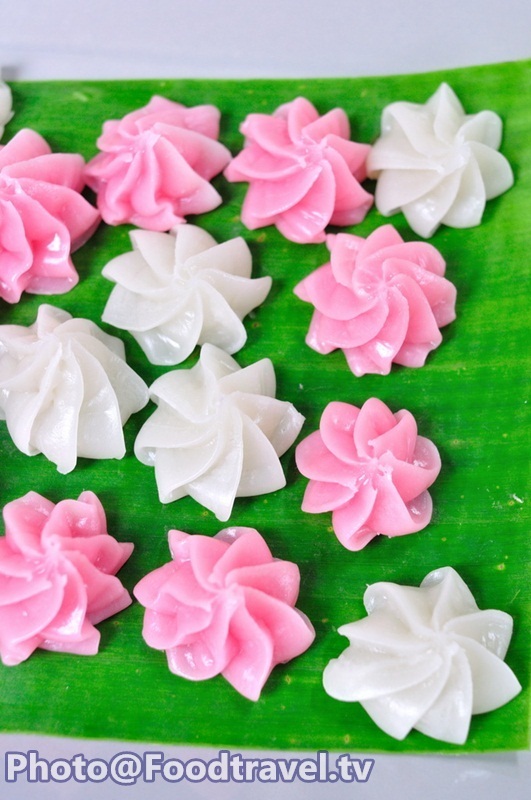 Thai Jelly Sugar Candy (A-lua) - Another Thai tradition dessert. 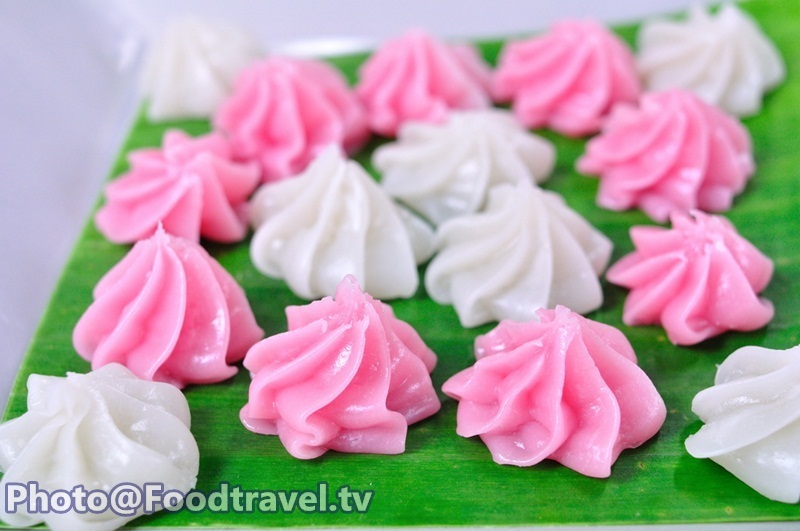 many Thai people know this kind of dessert. A lua made from wheat flour that has a hard skin but soft inside. 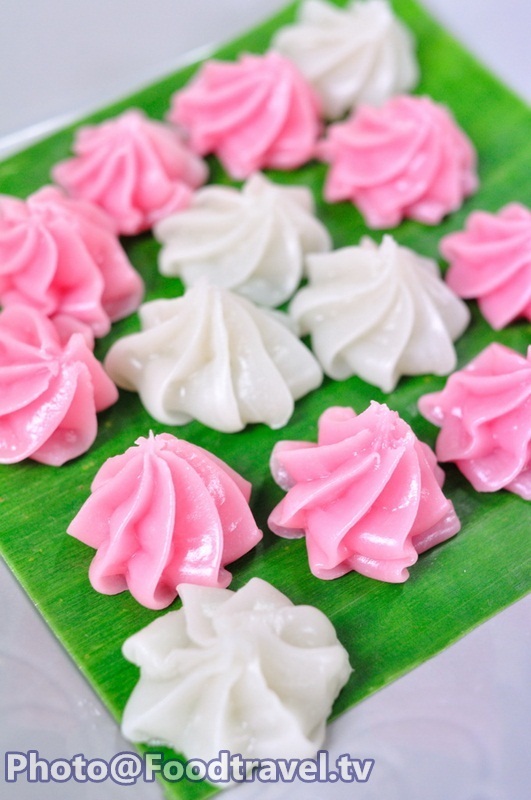 This dessert has a lot of color such as green , pink , white or yellow. This is another menu that you can make by yourself. DIY! 1. Put the flour and sugar into the pot then mix them together. After that put the coconut milk and stir until sugar and other mixture melted together. 2. Warm them with low heat and keep stirring until flour done. After that put the food coloring or do not put any color in there for the white color. 3. Mold them by put into the plastic bag can see in our clip. 4. them until they turn harder then keep them into the closed lid.